During the renovation the builders might have an issue drilling cast iron bathtubs to install the faucet, drain or other purposes. The cast iron is drilled, usually without problems, but in this case to avoid chipping the enamel? Using a marker mark on the enamel layer point of drilling. To drill bit slipping, protsarapat point with an awl or drill end. To drill the enamel layer, use diamond drill. Drill very slowly, constantly cooling the drill holes with water, not allowing it to heat up. In order to cool the drilling point, stretch to it a tube, supplying water, be very careful not to forget that in your hands the power tools. Enamel drilled, change the drill bit drills into the normal metal. If you want a small hole, first drill a hole of small diameter, and then it rassverlivat thicker drills. Don't forget to cool the metal and drill slowly, if it heats up and the surface will go "whitening" - the drill bit will be blunt in the first millimeter, as cast iron becomes harder than tempered steel. If you need a large diameter hole, make a jig from a piece of plywood with a Central hole. First drill through the jig to remove the layer of enamel pervym drill bit for glass or tile. Then remove the jig and drill a conventional drill on metal. Note that the holes in the jig should be located at a distance of not more than 1 mm, then the disk will be removed easily. Hone the bore from the inside with a rubber nozzle with abrasive pieces of sandpaper. If you have a grinder, try to drill as follows: grind the enamel on the contour, then the contour obsolite small drill bit and apply the same edge grinding machine. If it is a part of enamel is split off, close the edges of the holes with decorative chrome Cup of appropriate diameter. 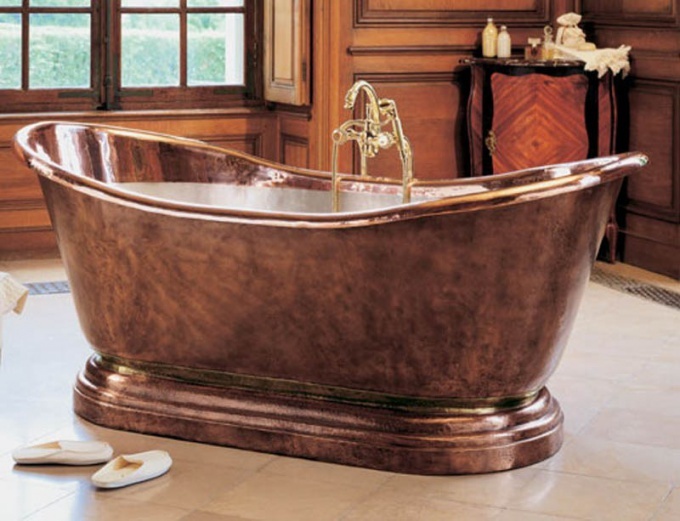 When you drill a hole in cast iron tub, cover the bare surface of the cast iron sealant or epoxy glue, or after the installation of the mixer, the enamel will begin to appear rusty streaks.